Good morning, my darlings! 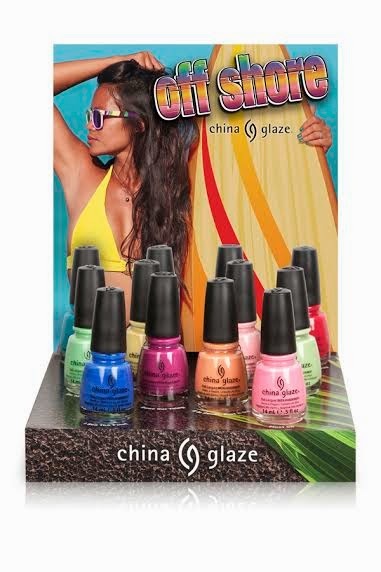 I have some exciting news to share--are you ready for your first look at China Glaze's upcoming collection for Summer 2014? All I can say is NEON and I'm so ready for summer! Take a look! Nothing says summer like sun-kissed days and electric nights filled with friends, fun and water. Whether hitting the surf, paddle boarding along the coast, floating down a river or lounging poolside, the season calls for good times and nails drenched in the hottest colours that are sure to make a splash. Grab your board and meet us in the water with the China Glaze® Summer 2014 collection, Off Shore. China Glaze® Off Shore will be available as individual colors, plus two 6-piece box collections “Stoked To Be Soaked” and “Dune Our Thing”. Individual polishes retail for $7.50 MSRP and the 6-piece box collections retail for $45 each. China Glaze® Off Shore will be available at fine salons and beauty supply stores nationwide in June 2014. China Glaze® nail lacquers are available through salons and professional beauty supply stores nationwide. 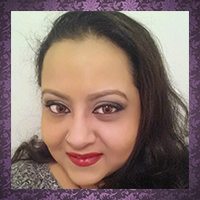 For more information, please visit China Glaze's website or follow China Glaze on Facebook (@ChinaGlaze), Instagram (@ChinaGlazeOfficial), Twitter (@ChinaGlaze) and Pinterest (pinterest.com/chinaglaze). So there you have it, my darlings! So many gorgeous colors to look forward to for the summer--I'm especially looking forward to Dune Our Thing and I Sea The Point! Oh how I love a good neon! Which of these beauties are YOU most looking forward to? I'd love to hear from you in the comments section below! Augh I need a lot of these. So dangerous!